Show your Navy, USNA and class spirit. The perfect gifts for every occasion. 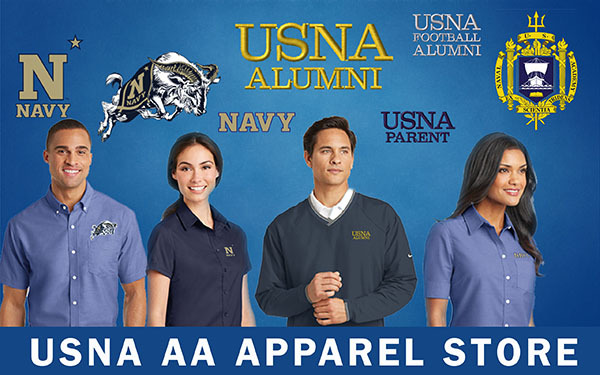 Be sure to scroll down to see all four shops: Distinctive Gifts, Apparel, USNA & Class Crest Collection and Diploma Displays, as well as any specials we currently are promoting. 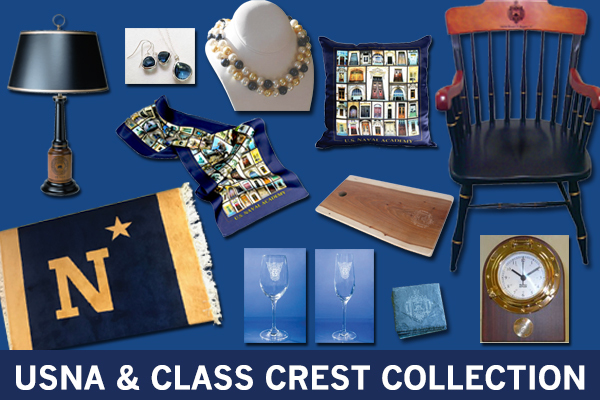 M. LaHart and Company: gifts of distinction made exclusively for USNA alumni, family and friends. Apparel: polos, vests, caps and more. Campaign Logo Apparel now available. Beautiful handcrafted tables, jewelry, glassware, desk items, napkins, notecards and more. 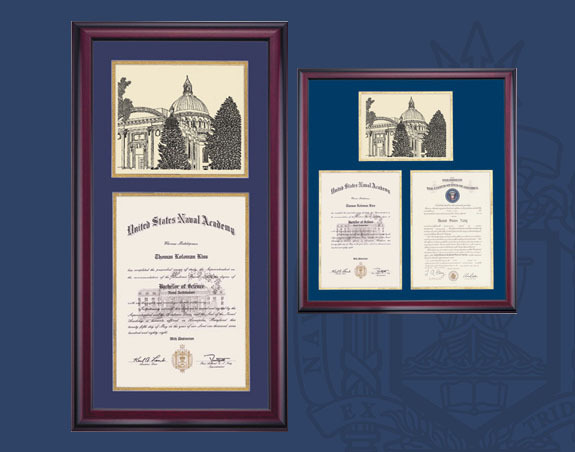 Diploma Display: protect your diploma and commissioning certificates. Great options, easy to install. When you shop through the Alumni Association and Foundation Amazon partnership, Amazon will provide a 4-8% share of your order total to our organization. It's easy! The U.S.  Naval Academy Alumni Association and Harris Connect/Harris Publishing Company work together to publish the Register of Alumni every five years. If you have any questions or concerns, please contact Sandy Spadaro at 410-295-4076 or email. Looking for a good book to read? Lucky Bag of Books is a varied collection of fiction and non-fiction books, some written by alumni, some are about alumni and subjects of interest including children's books. When you purchase through the Alumni Association and Foundation partnership with Amazon, they will provide a 4-8% share of your order total to our organization.